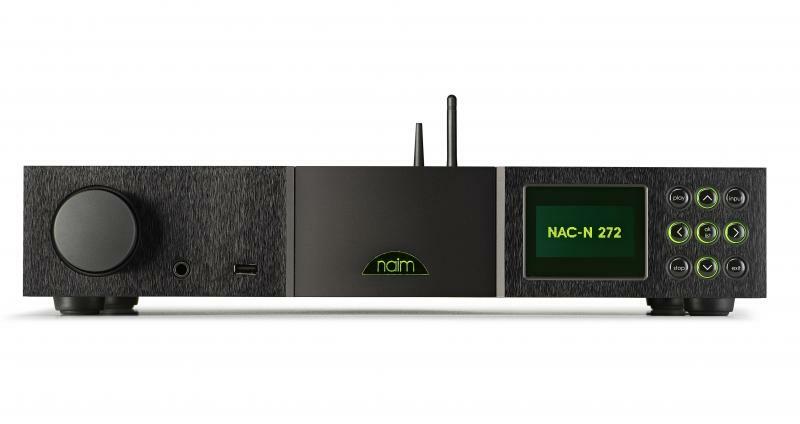 The NAC-N 272 combines Naims latest innovations in digital audio technology with classic analogue preamplifier engineering. It samples the best of both worlds to create an immensely musical hi-fi system. Paired with a NAP 200, NAP 250 or even a NAP 300 power amplifier, the 272 is an ideal choice for those seeking the convenience of a single box streaming system with iOS and Android app control, but that crave hi-fi separates performance. It boasts an impressive array of inputs including high-resolution (up to 24bit/192kHz) UPnPTM streaming, Spotify Connect, iRadio, Bluetooth (aptX), USB, multiroom, TIDAL music streaming support and an optional DAB/FM module. Six digital and three analogue inputs cover integration with a wide range of sources from CD and games consoles to phonostages. It’s also performance upgradable with the addition of a Naim Audio XP5 XS, XPS or 555 PS power supply. The 272’s digital pedigree is formidable. It shares the incredibly powerful DSP (Digital Signal Processor) used by the reference NDS network player and features Naims proprietary digital audio buffering and filtering techniques. This helps to eliminate jitter and optimises the audio stream for the best musical performance from any digital source. It also means that the 272 can play back DSD64 files.